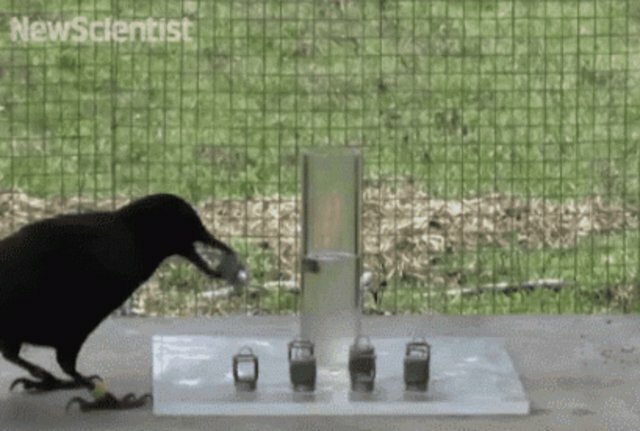 Crows are known far and wide for their cleverness -- just last week, a new study surfaced showing that the birds' intelligence levels may even match (and exceed) that of human children. 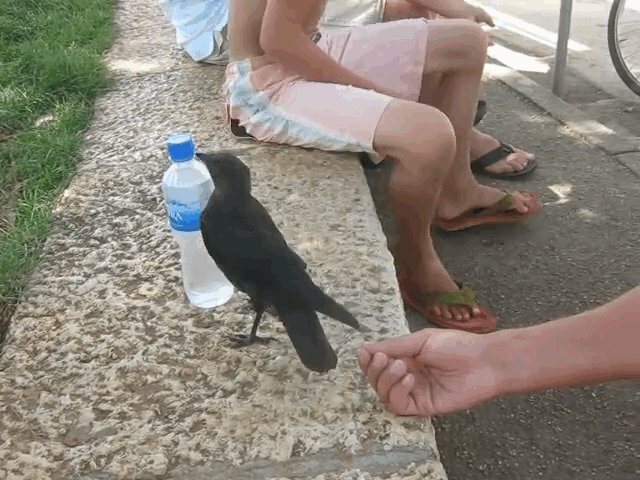 This charming crow is no exception -- when she spotted tourists with a full water bottle, she indicated that she'd like a sip. They nicely obliged, even providing her with a makeshift sipping cup. Giphy Another group of crows in a Japanese city figured out how to master technology for their own benefit, dropping tough nuts in front of cars to crack them -- and then reaping the reward.